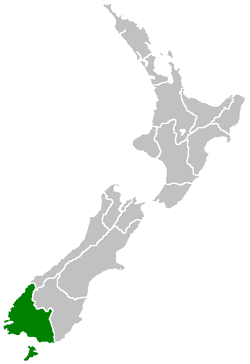 Southland or Murihiku (Māori) is New Zealand's southernmost region. It consists mainly of the southwestern portion of the South Island and Stewart Island / Rakiura. It includes Southland District, Gore District and the city of Invercargill. The region covers over 3.1 million hectares and spans over 3,400 km of coast. In 1853, Walter Mantell purchased Murihiku from local Maori iwi, claiming the land for European settlement. Over successive decades, present-day Southland and Otago were settled by large numbers of Scottish settlers. Immigration to New Zealand had been precipitated by an economic depression in Scotland and a schism between the Church of Scotland and the Free Church of Scotland. Southland's two principal urban settlements are the city of Invercargill and the town of Gore. 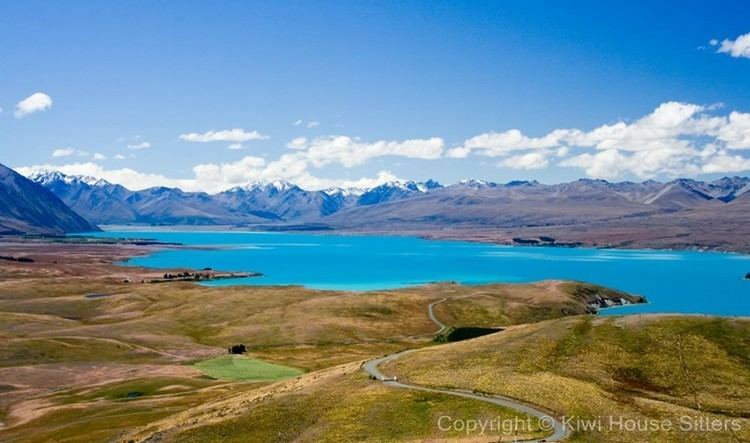 Southland covers an area of 28,681 square kilometres. In the June 2016 it had a population of 98,000, making it one of New Zealand's most sparsely populated areas. 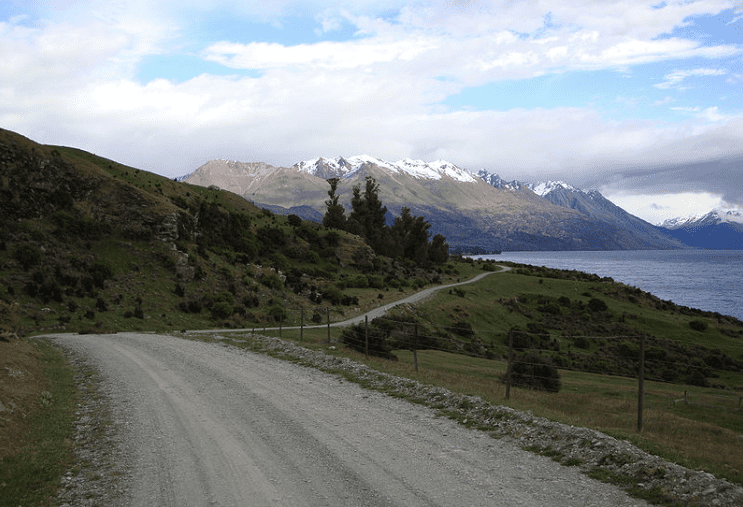 The sizable western part Fiordland is almost empty of permanent human inhabitation. Southland is divided into two parliamentary electorates. The large rural electorate of Clutha-Southland, held by Todd Barclay, also includes some of the neighbouring Otago Region. The seat of Invercargill is held by Sarah Dowie. Both are members of the governing National Party. Under the Maori seats system, Southland is part of the large Te Tai Tonga electorate which covers the entire South Island and the surrounding islands, and is currently held by the Labour Party MP Rino Tirikatene. The coastal regions have cool summers and mild winters. The mean daily temperature varies from 5.2 °C in July to 14.9 °C in January. Rainfall varies from 900mm to 1300 mm annually with rainfall being more frequent in coastal areas and rainbows being a regular occurrence in the region. Summers are temperable with downpours and cold snaps not being uncommon. On 7 January 2010, Invercargill was hit by a hail storm with temperatures plummeting rapidly from 15 °C to 8 °C in the afternoon. Occasionally, temperatures exceed 25 °C with an extreme temperature of 32.2 °C having been reached before in Invercargill. Southland is one of New Zealand’s most sparsely populated regions with its population of 98,000 (June 2016). Due to a “drift north” between 1996 to 2001, Southland’s population declined by 6.3% though this has since dropped to 0.1% as of 2006. Invercargill, the region’s main centre and seat of local government, makes up half of Southland’s population with a population of 52,000. Six other centres have populations over 1,000: Gore, Mataura, Winton, Riverton, Bluff and Te Anau. Most of Southland’s population is concentrated on the eastern Southland Plains with Fiordland almost totally devoid of permanent human settlement. Approximately 94% of the population is of European lineage and the region is noted for a relatively Scottish and Irish heritage. Māori comprise about 10% of the population and are largely concentrated around the port of Bluff. During the 1940s, the development of the freezing works boosted a short-term immigration to the region by North Island Māori. Around 51.6 percent of Southland's population affiliated with Christianity at the 2013 Census, making it one of two regions in New Zealand (the other being Hawke's Bay) with a majority Christian population. The region’s economy is based on agriculture, tourism, fishing, forestry and energy resources like coal and hydropower. The agriculture industry includes both sheep and dairy farming which both account for a significant proportion of the region’s revenue and export receipts. Much of this farming occurs on the Southland Plains though there has been expansion into the more remote western regions since the 1950s and 1960s. Southland also has the world’s largest raw milk-processing plant at the town of Edendale which was established by Fonterra. Tourism spending is a major factor of the Southland economy, with NZ$595 million being spent by visitors in 2016, of which NZ$210 million was spent in the Fiordland area. In July 2007 the New Zealand Government awarded oil and gas exploration permits for four areas of the Great South Basin. The three successful permit holders were ExxonMobil New Zealand, OMV and Greymouth Petroleum.